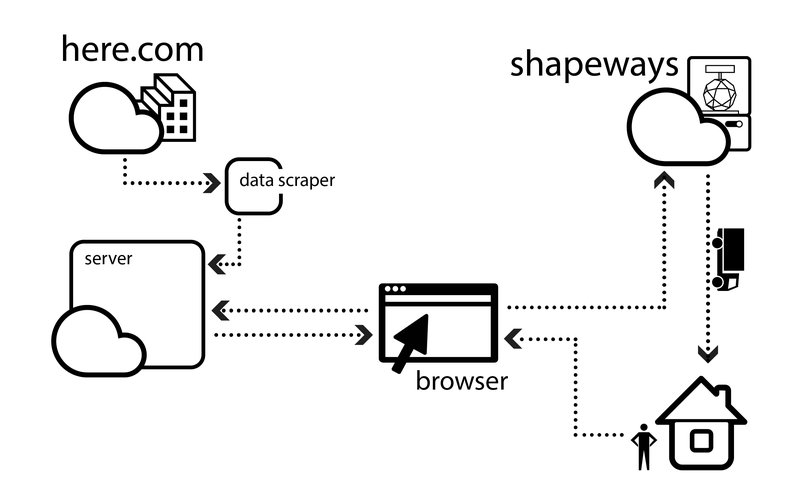 Using extracted 3D tiles, i.e., buildings, textures, and terrains, from Here.com, ibldi is a webapp that allows users to select custom areas within cities (or anywhere that has 3D data available), and have them printed via Shapeways. It drew inspiration from two similar apps, Terrafab and The Terrainator — where both of them are focused on terrain, mine is focused instead on buildings. The 3D prints created with Shapeways are absolutely gorgeous. 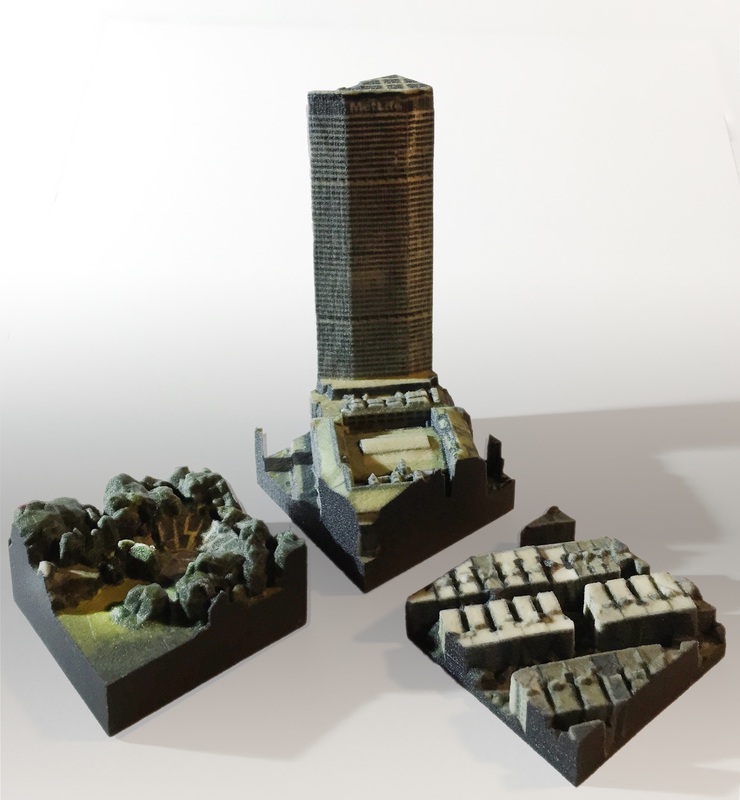 Printed in full-color sandstone, their bases are 5cm x 5cm (heights obviously vary), and prices range from $10 to $80 depending on the height and density of the buildings. The application is currently limited to a single zoom-level in New York City, but more areas and zooms will be available soon. Custom selection bounds are also in the works, as well as options to customize the models. Many challenges arose when creating the application. The overall quality of the city tile meshes were poor, and their edges were uneven. An algorithm had to be developed to automatically and accurately trace the edges of the models, and use that information to make a closed solid. Creating a filetype that Shapeways would accept for color printing, while keeping the model accurate and the textures aligned, also was quite a process. Finally, the logistics and practice of putting all the parts together, and having them run smoothly on the web was quite a learning experience. This entry was posted in Capstone on 19 May 2015 by John Mars.